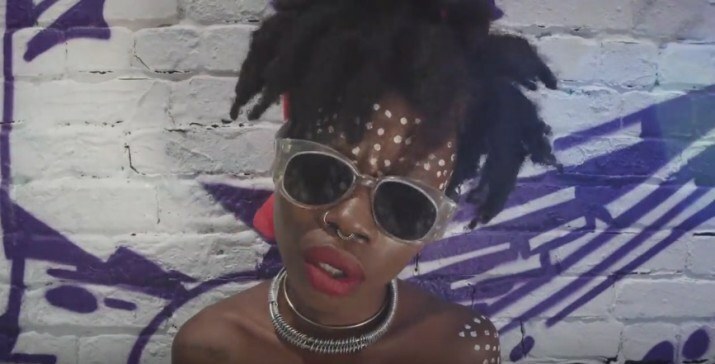 Jojo Abot shares the Brooklyn rooftoop video for "To Li," off the Ghanaian vocalist's 'FYFYA WOTO' EP. Abot, who spends her time between Accra, Copenhagen, and New York City, is harkening back to a long forgotten time of NYC folklore—summer. It’s a badly needed reminder for New Yorkers as we dig out from two feet of 7-11 Slurpee slush. Portions of heavy delay, 808 drums thump and spacey reggae-inspired synths reverberate through the track while claves pan under Abot’s effortless voice. Doubles and triples of Abot appear as she floats in front of graffiti and paint peeling Brooklyn brick. The video is produced by the folks at House of Nod and is directed by Robert Kolodny and Abot herself. As Yay Area natives would say, she giggin’ through the visuals. But enough of me describing the joint, peep it below. Also, don’t forget to support dope artistry and cop FYFYA WOTO on bandcamp.